Reading Festival is only days away now (pray for me that it stops raining) and there’s nothing better to take to a festival that multi coloured random stuff. 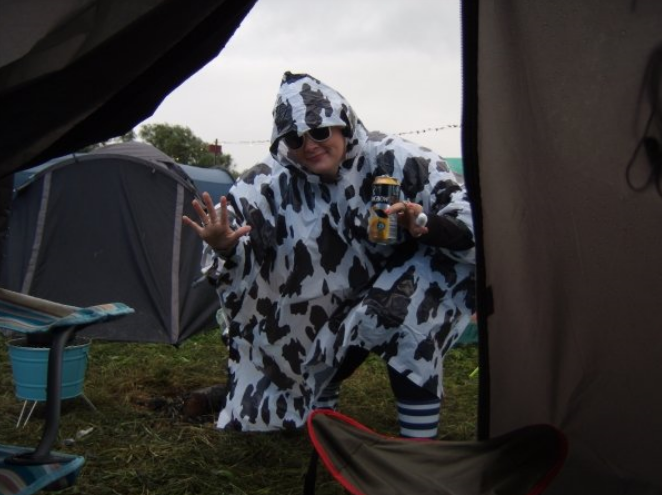 It’s the one time of year you can put on a cow poncho, get your face painted and feel right at home in a field. This year I’ll be taking these colourful hair paints from Colour Xtreme with me to brighten up an otherwise dull day. They come in two variants – a spray and a liquid – so you can create colourful looks in seconds. Available in shades including green, blue, pink, purple and white, there’s a colour to match (or clash) every festival outfit this weekend. The sprays provide a really strong colour instantly with no faffing, perfect for when you want a streak of colour and nothing else. If you’re feeling adventurous you could even create a blue ‘ombre’ look, dipping the ends in colour for a graduated effect. The colour stays put until you wash it out, but the only thing is that it transfers easily onto hands and clothes so make sure you’re not wearing your best frock! I sprayed my hair with this and ended up with blue fingernails for days after. Probably not the best idea when I’m sleeping in a tent for 5 days, but it’ll look good. The ‘Hair Art’ lotions provide an intense colour in a liquid format, making application more precise and subtle. You can dip the ends of hair in this to create a little bit of colour in your ‘do, or just use it to paint a hue onto a plait . These dry really quickly and stay in without any of the colour transfer issues. I would totally wear these on a normal day! The blue works well on my dark hair, but the red and pink is hard to see – they’d work much better on blonde hair. At around £4.00 each these are a really cheap and easy way to inject some colour and fun into your festival…. and they totally match my cow poncho. Fab! See you there… I've just dyed my hair pink!